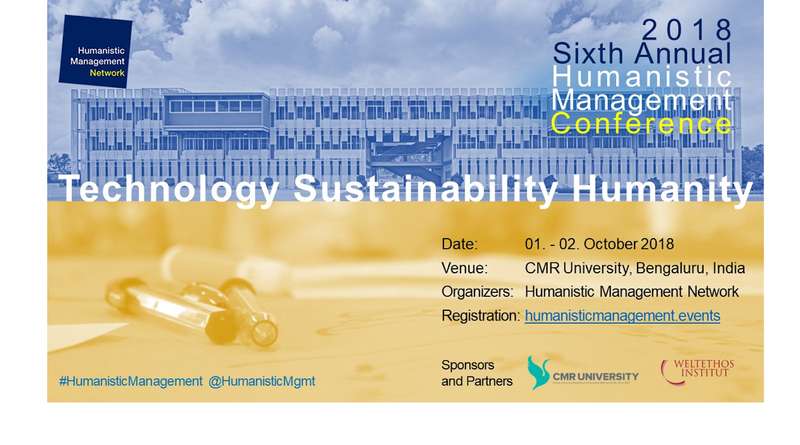 The 2018 Sixth Annual Humanistic Management Conference will take place on October 1st – 2nd in Bengaluru (formerly Bangalore), India, hosted by CMR University. To this end we have built an interactive programme spanning two days to offer you keynotes, workshops, paper sessions, panels, ample networking opportunities and the launch of the Humanistic Management Network India Chapter We are most grateful to our hosts and sponsors CMR University in Bengaluru, India and the Weltethos Institute at the University of Tübingen, Germany for their generous support. Come join us – together we make impact towards a more sustainable and more equitable planet. On behalf of everyone at the Humanistic Management Network we look forward to welcoming you in Bengaluru. The conference will run over two days commencing on October 1st at 9am and closing on the following day, October 2nd, at 5pm. The Humanistic Management Conference Organizing Committee invites scholarly papers, articles and case-studies. Making Progress Towards Addressing The Main Challenges We Face As A Global Community..
We are offering one payed ticket for those who can afford to contribute to the cost of this conference and one free ticket for those who do not have the funds for doing so. We trust that you select your ticket aligned to your means. We are offering one payed ticket for those who can afford to contribute to the cost of this conference and one free ticket for those who do not have the funds for doing so. We trust that you select your ticket aligned to your means. Please welcome with us outstanding speakers delivering impactful messages in service of our shared endeavor to use technology for a more sustainable and more equitable planet. Dr.Wolfgang Amann has been designing and delivering executive education seminars for more than 20 years. 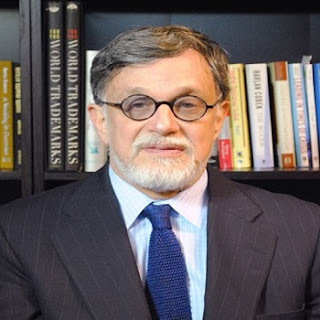 Ronald Berenbeim is an Adjunct Professor at the NewYork University Stern School of Business Administration. 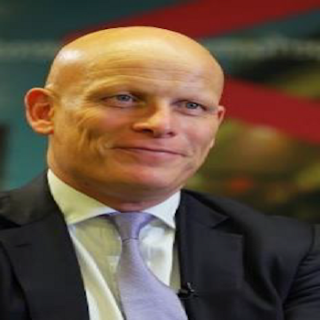 Gib Bulloch spent 25 years in the business world at three of the world’s largest companies. 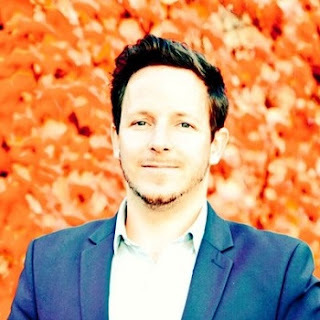 Dr.Ernst von Kimakowitz is passionate about strengthening the positive impact of business. 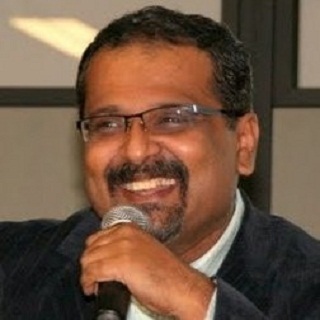 JabaSen Menon is a global business leader and a Certified Intelligent Leadership Coach with 30years of experience in multiplesectors. 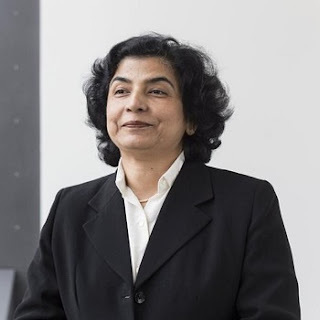 Radha Sharma is a Raman Munjal (HeroMotoCorp) Chair Professor & Professor of Organizational Behaviour & human resource development. 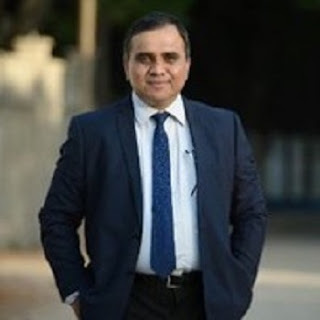 Prof.Shiv Tripathi is Dean of the School of management at CMR University in Bengaluru,India. 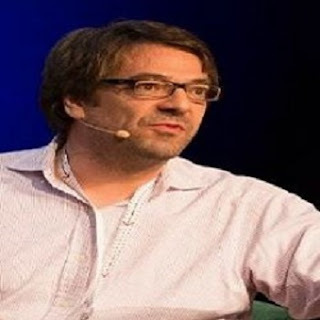 Mr.Stefan Klauserisa Political Scientist and FinTech Expert and leads the subject “DigitalSociety”. 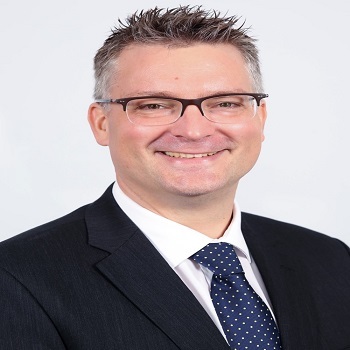 Freek Jan is posted in India as Counsellor for Innovation. 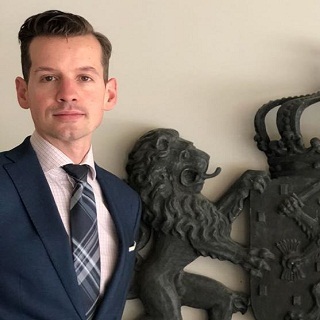 He is based at the Netherlands Embassy where he leads the Holland Innovation Network’s efforts across its offices in Delhi, Mumbai and Bangalore. With more than 30 years of experience in Change Management, in India as well as abroad, Marianne knows what it means to stay ahead of time. 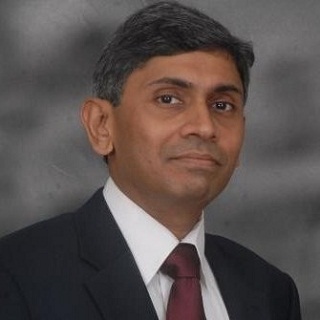 Anantharaman (Ananth) has overall 25+ years of Deep and Broad IT experience covering Product Development, Operations, Strategy, Contract Management. 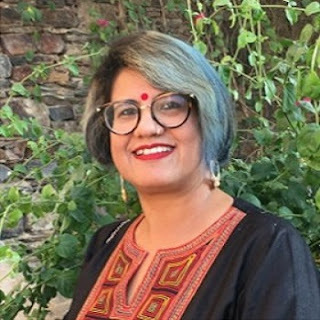 Manu Chopra is working on tackling extreme poverty in rural India by increasing access to dignified digital work. The Humanistic Management Network is most grateful to our Hosts and Sponsors who share our passion for working towards a more sustainable and more equitable planet. Without their generous support this conference would not be possible. (CMRU) is a private university in the state of Karnataka, established and governed by the CMR University Act-2013. CMR University aims to promote and undertake the advancement of university education in technical, health, management, life sciences and other allied sectors of higher and professional education. 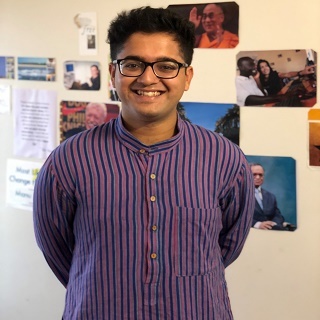 The goals of the University of Tübingen’s Weltethos-Institut are to promote awareness of moral issues among international economic and political actors and to facilitate meaningful intercultural dialogue and trust. INDIACSR is only and biggest CSR news portal in India. INDIACSR is the leading and only Indian business network for Corporate Social Responsibility (CSR) dedicated to making significant contributions through adding new dimensions and perspectives to the domain of CSR and Sustainability. Copyright © 2016 Humanistic Management Conference 2018. Designed By PRESUL INFOTECH.